We are pleased to announce that ClearContext Professional v7.0 has been released to production! To download v7, click on any download link on www.clearcontext.com. The web site now reflects updated information and documentation for v7, including the user guide. For more information on what’s new in v7, please visit our new release page. Updated licensing is needed for users of v6 or earlier, and a discounted upgrade license is available here. Connect members should visit their Connect status page to obtain their v7 license. For those that have already installed the Release Candidate (RC), updating your software is not necessary, as the released version is the same as the RC. Thanks to all for their interest in v7, and especially our Connect members for their help and feedback during the beta period. 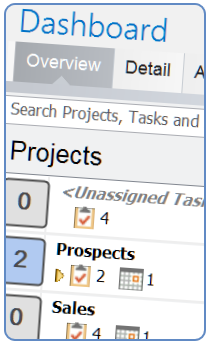 We hope that ClearContext Professional v7 will help you become more productive than ever! Development of ClearContext v7 is now complete! We have made the v7 release candidate available for anyone to try, and this release should transition to becoming the production version assuming that no significant issues arise. For more details and download links, please view our forum post. For our existing users, please note that v7 requires a new license and that v6 keys will not work with this new version. We will make upgrade licenses available for purchase once we formally launch v7, and in the meantime the fully functional trial mode is available for anyone to try. Connect subscribers can obtain their new v7 licenses by visiting their Connect account page.